Summer time desserts are best served cold. The last thing I want to do during the summer is turn the oven on. 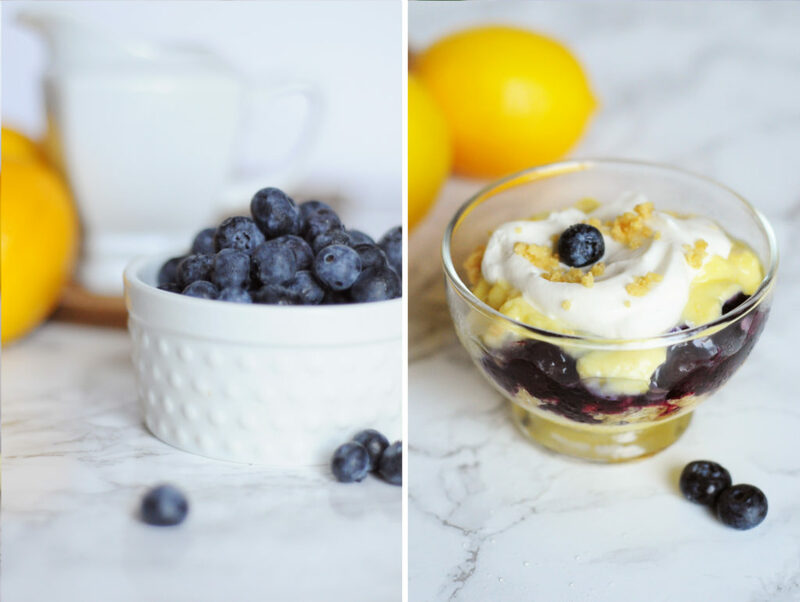 This lemon blueberry trifle is the perfect summer dessert that combines two of my favorite flavors, lemons and blueberries. The first time I made this it was actually by accident. I was attempting a pudding pie with a crust made from crushed lemon cookies. When I went to remove a slice, my crust instantly fell apart. I ended up just scooping it into individual bowls and it actually tasted really good. The next time I made it, I added a homemade blueberry syrup and some whip cream, and this time layered in a bowl on purpose. It was cute, cold, and delicious. 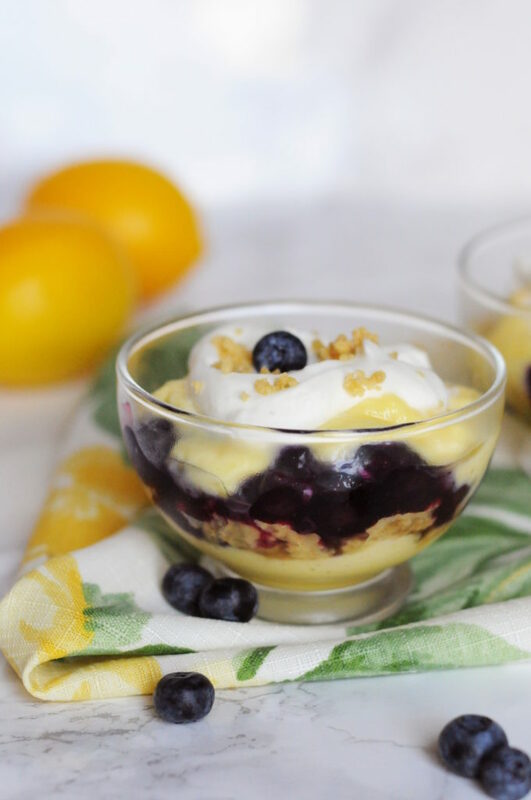 Although I love every layer of this trifle, the layer that really makes it special are these lemon cookies. I usually use a generic brand found at Walmart that comes in a large “family” pack. I like to fill up our cookie jar with them since they are a nice change to chocolate sweets and are super affordable. This last trip to the store they happened to be sold out, so I went with the Oreo brand. I’m not sure if the Oreo lemon cookies are a year round product but they worked just as great as the generic, and probably had twice the filling.. yum. The next best layer is the homemade blueberry syrup. 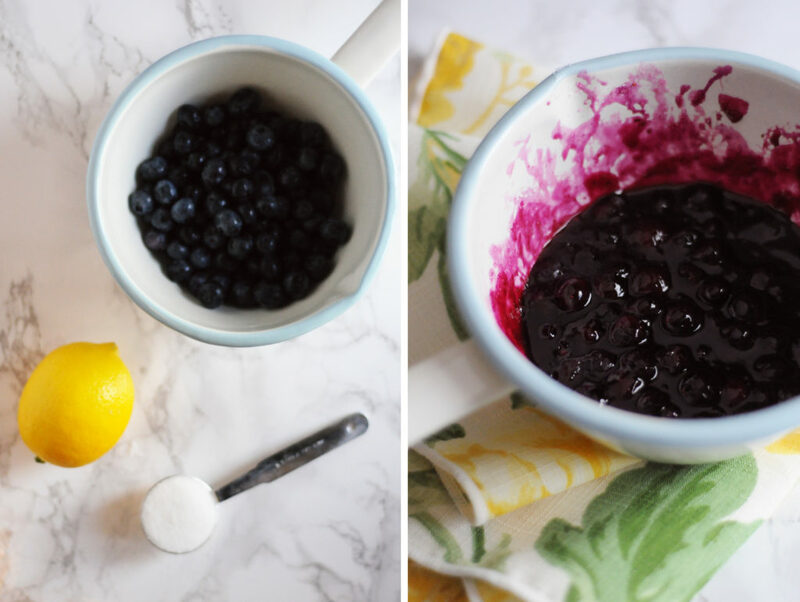 It taste and looks amazing and you only need three ingredients, blueberries, lemon juice, and sugar. I love this syrup combined with lemon cookies but it’s also great to top on ice cream or waffles. Crush lemon cookies in a plastic bag until only crumbs remain. 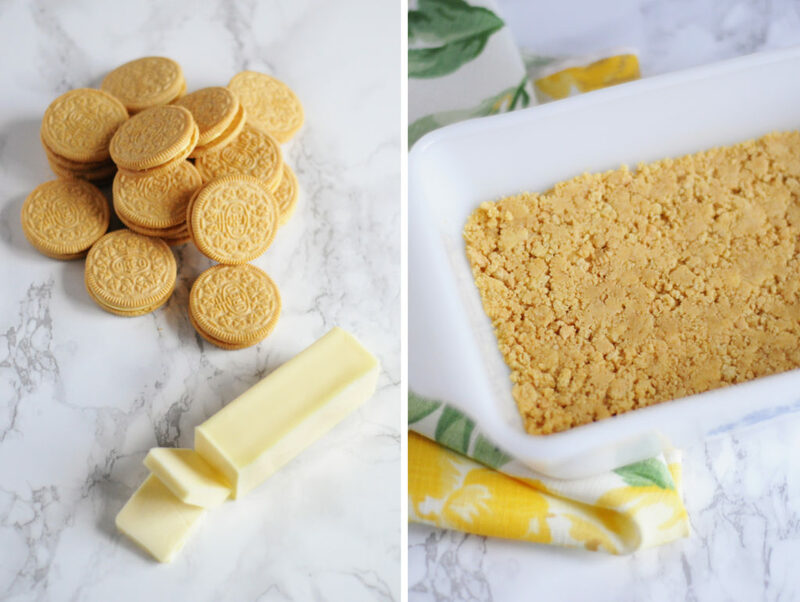 Melt butter and combine with cookie crumbs in a small cookie or casserole dish. Flatten crumbs with the back of a spoon and then chill in the fridge. Once chilled, use a spoon to break up the cookies into small chunks. Combine lemon juice, sugar, and blueberries in a saucepan on low heat and bring to a low boil. Let boil, stirring frequently for about 3 minutes. Add a little cornstarch if there is too much liquid. Let cool. 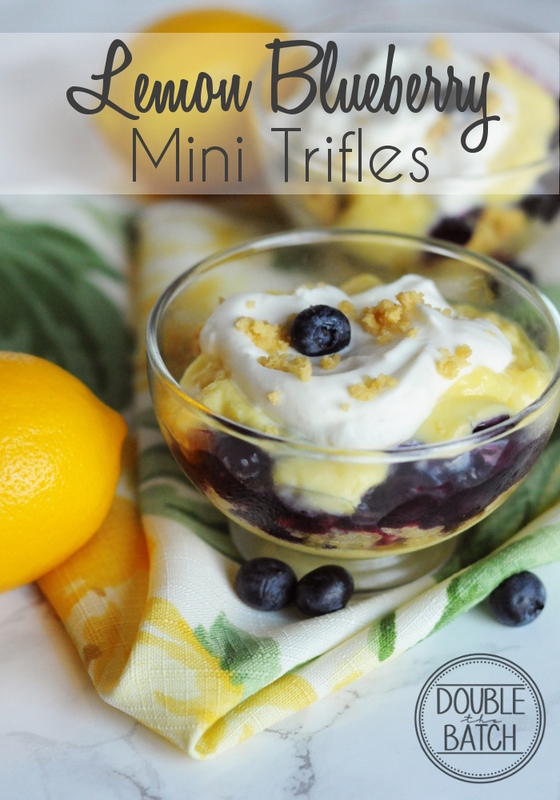 Layer each ingredient starting with pudding, cookies crumbs, blueberry syrup, pudding, and whipped cream. Garnish with fresh blueberries and extra cookie crumbs. Keep chilled until ready to serve. Another great thing about this recipe is you can easily make the syrup and cookie crumb layers before hand and keep them in your fridge until you’re ready to go. 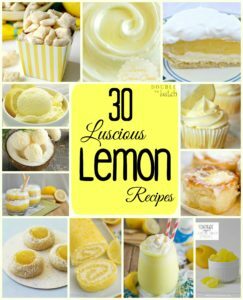 And, if you’re still in the mood for lemons make sure you check out this collection of 30 luscious lemon recipes.